Then and now: Elliot Tool Technologies has been in business for 125 years. 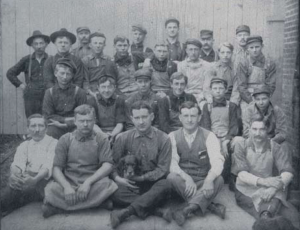 When you’ve sustained a leading position as a manufacturer of tube tools and metal burnishing products for more than 125 years, you’re obviously doing many things right. Keeping an open mind about new technologies is one way to stay ahead in your field—as Elliott Tool Technologies proved to itself yet again when the company added additive manufacturing (AM) to its more traditional capabilities. 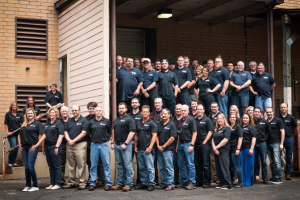 Elliott Tool has two divisions, Tube Tools and Precision Metal Finishing, and is a key supplier to companies of all sizes, including Fortune 500 firms in the aerospace, heavy equipment, commercial and industrial HVAC, and oil and gas industries. Elliott Tool delivers high precision tooling that provides fine surface finishes and tight tolerances to manufacturers just about anywhere on the planet. With just one toolmaker charged with producing most of the fixtures needed for machining as well as various jigs and templates required for part modification, the company began brainstorming about how to avoid bottlenecks and come up with faster solutions. “We felt rapid prototyping with 3D printing would help us fill the void,” Pruitt says. “Rather than pulling our toolmaker off of a fixture that might take several weeks, we thought we could use 3D printing to help take care of some of our other requirements.” The initial aim was to realize faster prototyping of parts to enable quick evaluation of compatibility with fixture designs and to achieve lower overall costs versus lengthy, conventional processes. “From an operations standpoint we felt 3D printing could provide us with fixtures that would keep work flowing faster through the shop,” says Pruitt. But which AM machine could deliver these results cost-effectively? 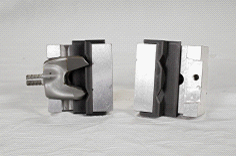 Elliott Tool had tested several AM machines in the past with less-than-ideal results. “They’d fail mid-print, or the quality of print was poor,” says Pruitt. He was already familiar with Markforged 3D printers, having used one for tooling at a previous shop, and felt it might work for what they were doing at Elliott. “I didn’t want us to spend a decent amount of capital on something that wasn’t going to produce a quality product,” Pruitt says. “I knew Markforged had good software, good user interface and would be reliable.” He reached out to equipment provider Adaptive Corporation, which has a portfolio that includes engineering software, business analytics and metrology in addition to 3D printing solutions. 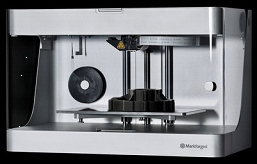 The Mark Two is part of Markforged’s series of desktop AM systems that print industrial-quality materials such as onyx, carbon fiber, fiberglass and Kevlar. Elliott was primarily interested in the onyx capability and some carbon-fiber reinforcement but they’ve since then also experimented with nylon and onyx-reinforced Kevlar for some electrical-conduit paneling projects. Decision made, Adaptive moved quickly to set up a Mark Two at Elliott Tool. “We had some tough questions for Frank,” says Pruitt. “But he was able to answer them all—or quickly bring on someone who could.” Queries included the basics such as minimum possible layer thickness and how that changed when you introduced continuous fiber. And what sounded like tougher challenges, such as how to imbed a brass fitting, or a tapped hole, in a 3D printed part—when previously the item was created in metal. The simple answer: program-in pause levels in the AM build to create holes where needed. “I like that you can clearly visualize this process in the software,” says Pruitt. Top to Bottom: A variety of parts produced by Elliott Tool Technologies with their Markforged AM equipment. Left to right: a drill bushing template that locates a part for drilling; a drill fixture used to modify a casting; a speed wrench for loosening spindles on the company’s Swiss machines. With the Mark Two operational, Elliott began seeing a wide variety of positive results and even began considering some potential end-use parts applications for AM. Air-motor handles that would normally require a lengthy aluminum casting and machining process could be printed overnight on the Mark Two. The first batch of electronic components that needed an urgent engineering change for a customer was turned around in half a day. “Even though it took us 12 days to fulfill the complete order this still saved time and effort over all the different steps that would have been involved if we’d used conventional manufacturing,” says Pruitt. 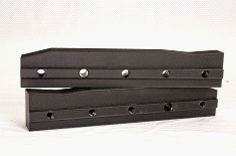 A unique CAM plate project is the one that Pruitt reports being “really astounded by” in terms of the quality and strength of the parts that could be produced with the Mark Two. The company was tasked by a first-time customer with replacing the CAM plates on an old horizontal milling machine that dated back to the World War II era. The plates support a table that rides on the angles of the plates and cuts the opposite form of the angles into the parts being milled. 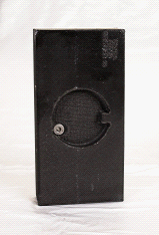 Onyx composite CAM plates (some layered with carbon fiber) were additively manufactured with Elliott Tool’s Mark Two 3D printer for a World War II horizontal milling machine. The plates showed exceptional quality and strength that rivaled aluminum. Pruitt decided to compare the integrity of the CAM plate holes under two conditions: reamed-in with post-production steps after 3D printing, or designed right into the 3D computer model used to run the print. “I wanted to see how well the Markforged machine would do as far as perpendicularity, and it turned out a great part,” he says. “I also compared hand-tapped versus printed threads in the holes and they functioned equally well. Beyond design freedom and improved throughput, Elliott is seeing significant reductions in costs—and they’re sharing those savings with their clients. Adaptive’s Frank Thomas sees Elliott’s results with AM through experienced eyes: “Elliott is a perfect example of a company that just gets it,” he says. “What they were looking to do was really expedite the process of creating functional, in-process tooling. And they have a good approach in the way they’re doing just that, which is to start small with just a few use cases and then look to expand into other areas in the future. 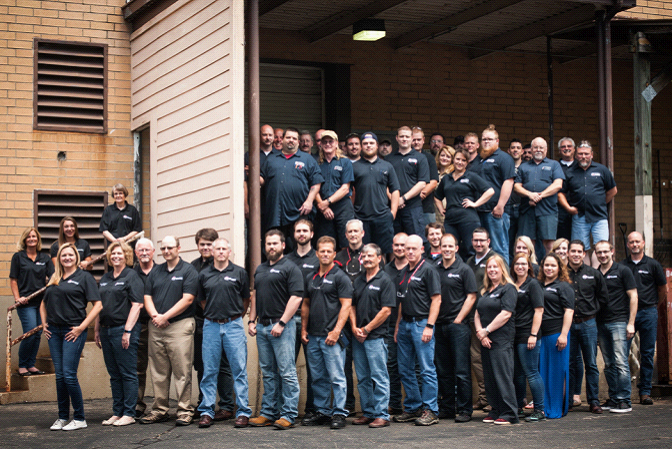 Elliott Tools aims to continue fostering that open-minded attitude toward new technologies going forward. They’re beginning to look at metal printing solutions for other rapid prototyping and end-use part applications as well as 3D scanning to augment more complex casting designs.